We have seen a lot of changes in the last few years with water conservation. Not long ago, California was in a five year drought that had many people looking at conserving their water for the first time. However, with the passing of SB 606 and AB 1668, water conservation will be part of our future as well. Each of these bills requires that cities and urban water providers come up with targets to better utilize water usage and waste. But what are some ways that you can start saving water and also money on your water bill this summer? A leak may not seem that nefarious when it comes to wasting water, but that is just not true! For example, if your toilet is leaking it could waste up to 100 gallons of water a day. One way of checking if you have a leak is to check to your water meter. Read your meter two hours before and do not use any water for those two hours. If you go back out and find a change in the water, then it is likely that you have a leak. If you think you have a leak, please call us. We can help fix all of your plumbing problems. 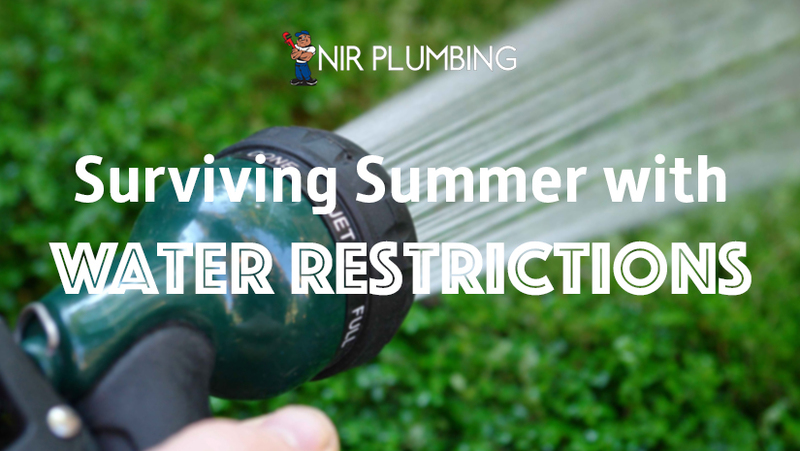 Most cities will have restrictions on when you water your lawn, but a good way to help make sure you can stay on schedule is to utilize a timer. The best times to water your lawn is very early in the morning or late at night. Most people aren’t awake during those hours, so a timer allows you the ease of saving water without the effort. Our dishwasher and laundry appliances help us save time and effort but if used correctly can also save us water. When you hand wash dishes, you can end up using more water than if you were to use your dishwasher. Make sure that you load up these machines fully so that you are not wasting any water on half-filled loads. If you need any help with broken dishwashers, lawn sprinklers or plumbing appliances, we would be more than happy to help fix them and save you money on your water bill.